With love and sadness in our hearts the family of Sabina Thompson (Sabina Krystyna Krasicki) announce her peaceful passing on November 30, 2018 at Dauphin, Manitoba. Left to cherish her memory are husband Gregory, children Stephen and Sarah, brother Tadeusz "Ted" (Nancy), sister Caroline (Martin), mother-in-law Evelyn, sisters and brothers in-law: Heather Agnew and Malcolm Strang, Lois and Robert Wedgewood, David and Irene Thompson, Dwight and Louanne Thompson, and Joanne and Dave McMillan. Sabina is also survived by 18 nieces and nephews and 17 great nieces and nephews. She was predeceased by her parents Frank and Cecylia Krasicki, sister Barbara "Blanche" and father-in-law Stephen Thompson. Sabina spent her formative years as a proud “Northender” in Brandon Manitoba. Greg and Sabina's union began during their high school years at Brandon Collegiate Institute. She described being attracted to Greg by his sense of humour, a quality which remained a strong theme throughout their lives together. Their relationship flourished during their years at Assiniboine Community College as they began on their professional career paths. Family and faith were always important in Sabina's life. Her love of family grew following their marriage in August of 1976, marking Sabina's official entry into the Thompson clan. Sabina and Greg's careers led them to Dauphin in 1981 where the next chapter in their life began. Parenthood was soon to follow with the arrival of Stephen in 1983 and Sarah in 1986. Motherhood (the 2nd Oldest Profession) was a role that Sabina embraced. Sabina's love for her children is strong and enduring. Strong and enduring throughout her life also was Sabina's faith. Her beliefs and the tenets of her church provided guidance, stability and comfort as she faced the joys and the trials that were part of her life. Sabina developed her strong work ethic at a young age - she was especially proud of her time at Brandon's famed Prince Eddy Hotel. 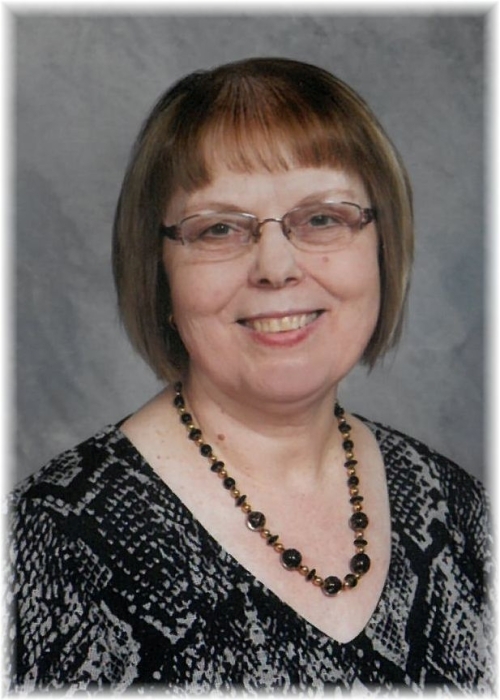 She was a consummate professional throughout her 35 year career with the Dauphin General Hospital as an executive assistant. Sabina also contributed to her community through her volunteer activities within her church - teaching Sunday School and singing with three choirs. Sabina's quiet nature provided her the ability to see the small but important things in life, viewed through a comic lens. She used that knowledge to create personalized unique and thoughtful gifts for others. This creative nature was revealed in a multitude of avenues be it Christmas letters, skit choreography, personalized song and dance routines, and her popular line of “el Sucko” gifts. Sabina was a strong woman - having battled cancer twice. She was victorious on the first round nearly thirty years ago. Her last stand against this invisible foe was fought with grace, strength and dignity. She continued to find joy through her family and music. Nature provided her with comfort - be it watching the birds in her trees, walking on the beach at Ochre, or swimming with the sharks in Hawaii. Her beloved pets were a source of comfort and strength for her to the very end. Donations in Sabina's memory may be made to a Dauphin Hospital Foundation (dghf.ca) or Cancer Care Manitoba. A celebration of Sabina's life was held Thursday, December 6th at St. Viator's Roman Catholic Church in Dauphin, MB with Fr. John Legitimas officiating. A family burial will be held in the summer of 2019 at the Beaver Creek Cemetery, MacGregor, MB.